Music Make’s the World a Better Place for All: Become Truly Inspired as the Playing for Change Tour Comes to Boston! : November 17th, Wednesday @ 8:00 p.m.
Catch the Playing for Change fever! The Playing for Change show is indeed a very special tour designed to tune its audiences in to the inspirational power of world music with its inherent ability to encourage global peace, understanding, and empathy. As an ardent world music fan, I, myself, am already keenly aware of this power and believe very passionately in it! “Playing for Change” is actually an entire movement centered around the mission of “Connecting the world through music” and this selective group of talented musicians have come together in honor of this all important goal. 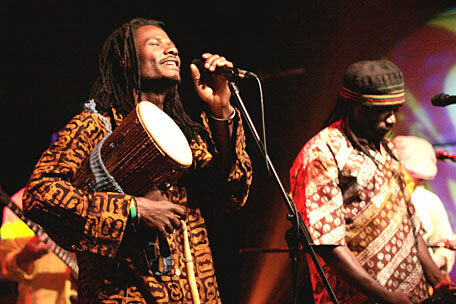 The roster for the evening includes, Ilan Ba (Senegal, guitar, no further info), Mohammed Alidu (Northern Ghana, percussion), Clarence Bekkar (Netherlands/Suriname, vocals), Grandpa Elliot (New Orleans, vocals & harmonica), Mermans Kenkosenki (DRC Congo, vocals & percussion), Jason Tamba (DRC Congo, guitar), Titi Tsira (South Africa, vocals), Juan Carlos Portillo (Venezuela, no further info), Louis Mhlanga (Zimbabwe, guitar), Reggie McBride (Detroit, bass guitar), and Peter Bunetta (Los Angeles, drums). Check out these videos to experience some of these musicians in action. The “Playing for Change” project actually grew out of a wildly popular film project turned YouTube video which received more than 30 million views over the internet! “Stand by Me” is a collection of film clips of various musicians from all over the globe performing this very same song with its projected theme of universal togetherness. Each performed in his or her own totally personal, intimate, and informal environment so as to inspire the utmost in personal creativity and heartfelt sharing with respect to this all important musical message for the rest of the world to hear. 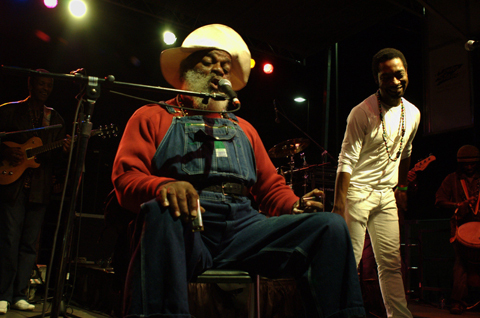 The film’s very popular reception went on to inspire a PBS music special and eventually the entire “Playing for Change” movement which continues to grow and develop as we speak, largely due to the efforts of Grammy and film award-winning producer, engineer, and director Mark Johnson. 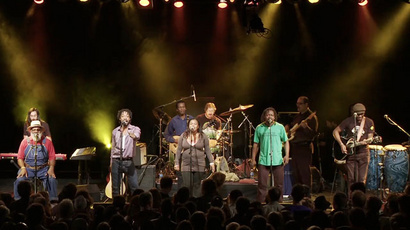 Presently the project is centered around three major organizational entities which include the musicians’ Playing for Change Band which performs benefit concerts and tours, the Playing for Change Foundation which supports music education and related activities in impoverished areas of the world, and the Concord Music Group which markets the project’s cds and videos. I am not going to go into further detail here because there is so much additional valuable information which is easily accessable on the aforementioned organizations’ websites. Rather, I would urge you to visit these links, poke around on your own, and see if you don’t yet become inspired to get involved in this most wonderful of world music causes. But … the best introduction to “Playing for Change” one could have at this point would be, of course, to attend this highly inspirational upcoming concert. 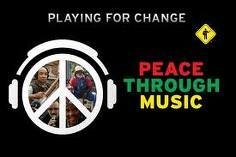 Come and join in the “Playing for Change” global unity movement!!! When: November 17th, Wednesday @ 8:00 p.m.